Planning a camping trip begins with the desire to get outdoors. Once you have the itch, you'll only need to pick a date, find a campground, choose a route, prepare your gear, go grocery shopping, and head out. Sounds simple, doesn't it? It actually is and it gets easier with each trip to the campground. Whether you're a new camper or a veteran, let's review some tips for planning your next outdoor adventure. There are two types of campgrounds: Private and public. Both have their advantages but finding a good one can be hard. That is why it's a good idea to use campground reviews and ratings to guide you. Resources like AAA, Trailer Life, and Wheeler's compile all the information you need to see if a campground is right for you. Take into consideration if you're staying in a tent or a camper or RV. Some campgrounds are more tent-friendly than others. Likewise, some have all the amenities and hookups necessary for campers. Do you care if there's a shower and flush toilets or are you okay with roughing it for the weekend? This is a big factor for many campers and a campground guide includes this type of information. You can also choose public parks which tend to be rustic and offer a variety of outdoor recreation options or opt for modern campgrounds that may have a game room, store, or pool. Be aware that some campgrounds require reservations, others offer it as an option or are first-come-first-serve. If you know it's going to be a busy weekend—Memorial Day, Fourth of July, and Labor Day, in particular—be sure to get a reservation or show up early. Another option is to head out to a festival that's centered around camping. They're great fun and offer music and other activities just outside your tent. Campers love the great outdoors, pristine natural environments, and the adventures that inspire in the wild. While it's likely that there's a great campsite nearby no matter where you live, if you're looking for a destination to travel to, we have some ideas. Every state has its fair share of national and state parks and these really do offer some of the best camping opportunities. Yet, some states are better known for having really great campgrounds to choose from. Also, if you have not camped at any of the top national parks, add them to your bucket list. You won't regret it. Glacier National Park in Montana is a favorite for many campers. Lake Tahoe is another camping destination to consider, and you can find some ​nice spots along California's coastline. ​Do you need a checklist to make sure you've packed all your gear? While you might decide to bring along a few extra things, there are some items that are absolutely essential. 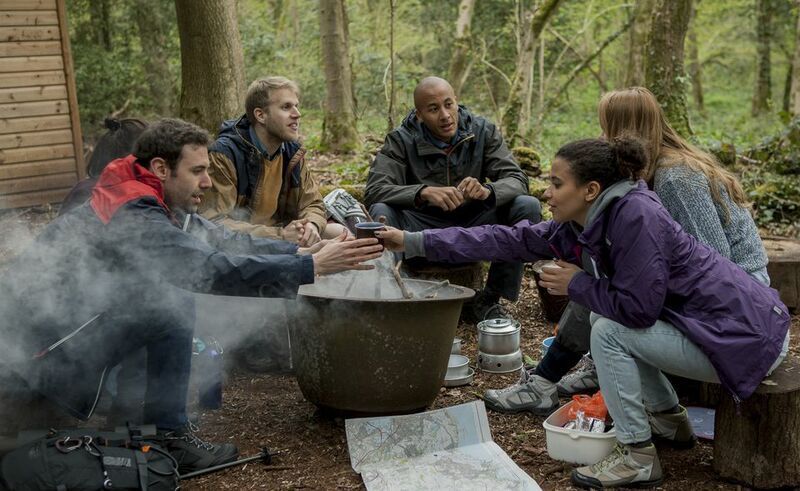 As far as camping gear goes, you will need three basic things. A place to sleep is most important, so grab a tent. Something to sleep on and keep you warm is good as well, which is why sleeping bags are necessary. Also, a few things to cook your meals will help out tremendously. Gear in hand, now you need the supplies. Food and water are essentials for obvious reasons. You might also want a camp stove, some rain gear for everyone, a knife, and a lantern or flashlight (or both). Don't forget the first aid kit, either. You'll be miles away from town and you never know when someone will get a cut, bee sting, or some other injury that needs a quick fix. No shower house at your campground? There's no need to go without bathing, all you need is a camp shower that's allowed to warm in the sun while you're busy with the day's activities. When you get to the campground, you'll need to check in at the office or camp host. Find a good site that looks like a place you could hang for the weekend. The campsites with the most shade are prime real estate, so try to get there early. From there, you'll set up your camp. Select the site for your tent, set out your cooking supplies, and settle in. One thing you'll quickly learn is that there are annoying campers. Don't be one of them and learn what not to do on a camping trip. This includes many common sense things like respect your neighbors, keep the camp clean​ and understand that wildlife will be around. When you're ready to leave and head home, be sure that your site looks how it did (or better than) when you arrived. The common phrase is "leave no trace" and that means you should take your trash with you, dowse your fire properly, and pack up all your gear. When you get home, unpack everything and let it dry and air out before storing it permanently. ​Backcountry camping, or backpacking, is essentially the combination of hiking and camping in the wilderness. Don't let the unfamiliar landscape or worries of being in the wild keep you from going backpacking. It's a lot of fun and a real outdoor adventure. If you've not backpacked before, it's a little different than grabbing a campsite at the state park. You'll be in a remote area without your car to rely on, so it's important to take only the essential gear you'll need. 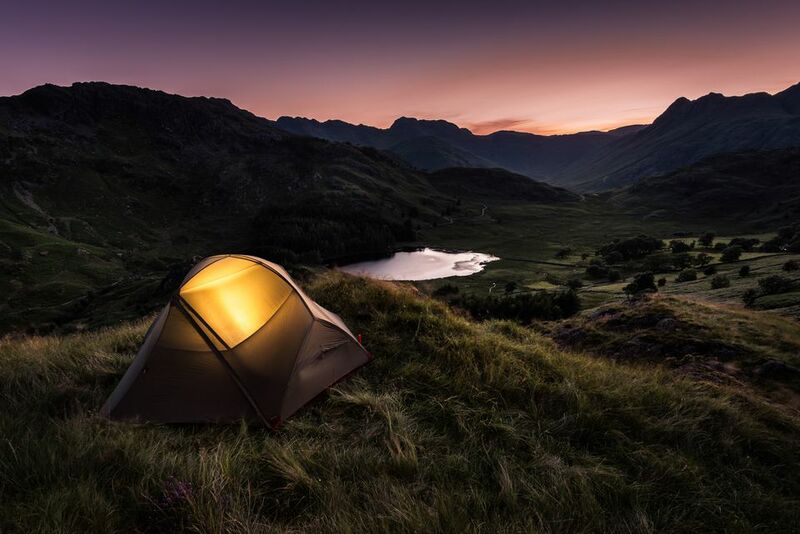 It's also important to choose the right campsite, though some popular backcountry destinations offer designated sites along the way. Also, you should be fit enough to handle the hike and understand who to call or how to get to help in case there's an emergency. Check with the park ranger in the area about any important details like that and other tips they can give you. Your RV is your home away from home. It is also the most convenient way to go camping because your RV has everything you need. Just hook it up to the truck or hop in the cab and you're off to a new adventure. While RVing is a more luxurious way to camp, it does have its own concerns. First of all, you most likely need to reserve campsites to ensure you get the electrical hookups you need. You'll also want a dump station nearby. Along the way (and before you go) you'll want to keep up on maintenance and do some routine safety checks. RVs are great, but they are one giant vehicle with a hundred things that can go wrong. Yet, if you know what to look for and how to maintain it, it can offer years of great fun. Camping Questions: What is a Tub Floor?